At over 8.6 million square miles, the Soviet Union was an extremely vast territory. Electricity was an integral part of attempting to industrialize, modernize, and unify the USSR. Vladimir Lenin believed that electricity would, "raise the level of culture in the countryside and to overcome, even in the most remote corners of land, backwardness, ignorance, poverty, disease, and barbarism." Thermal and hydro plants were constructed throughout the USSR to provide this electricity, including the Dneiper Hydroelectric Station in Ukraine, then the world's largest. By the 1960s, nuclear power was being developed as a more clean option to generate electricity, and various reactors were constructed to test the technology. 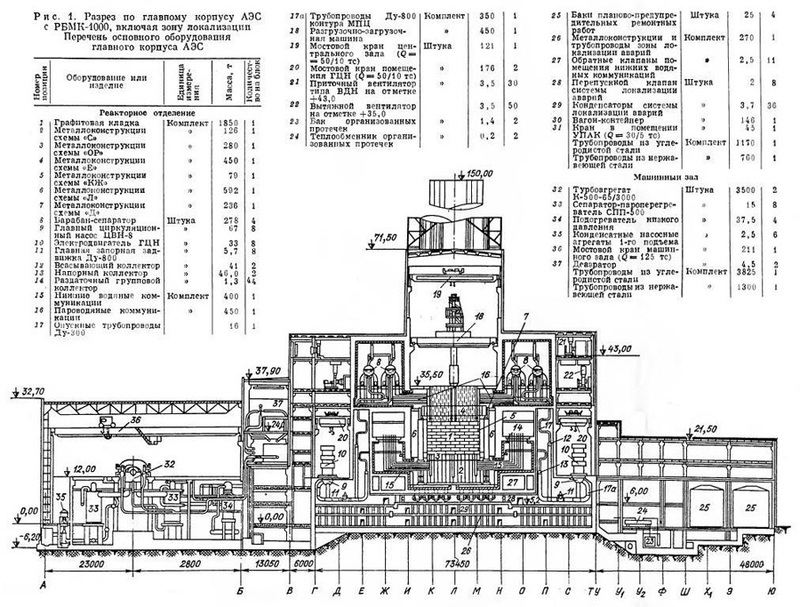 Diagram of the RBMK-1000 reactor, the same type that was constructed at Chernobyl. The world's first nuclear power plant - called "Atom Mirny" or "Peaceful Atom" - was constructed in Obninsk, and was a predecessor to the High-Power Channel Reactor, more commonly known by the acronym RBMK. The RBMK was the design selected to mass produce, despite designer Nikolai Dollezhal's opinion that these reactors should not be built in the European part of the country. However, the RBMK used simple and cheap materials - water as a coolant, graphite as a moderator, natural uranium as fuel, and all the parts could be fabricated in existing factories, thus it was economical to mass produce. Two reactors could even share the same operations building, yet another benefit and cost reduction. To additionally keep costs low, reactor containment buildings were simply not constructed - the west's propensity to use them in their reactor designs was seen as frivolous, since the technology was seen as perfectly safe. RBMK reactors were made up of hundreds of different fuel channels, and because of this it was possible to change fuel without shutting down the reactor, another perk of the design. 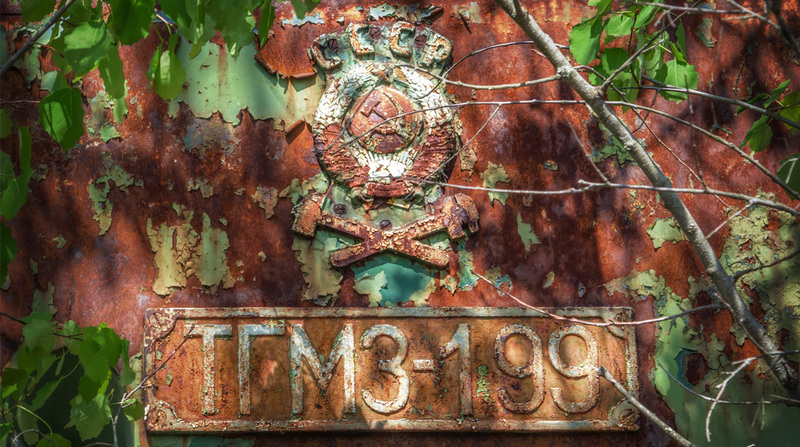 Lastly, RBMK's were unique to the Soviet Union, and completely produced there - constructing them throughout their vast territory was simply a matter of pride. Russian scientist Mikhail Stryikovich said of nuclear plants, "[they are] stars that shine all day long! We shall sow them all over the land." This sentiment was certainly taken to heart - the Soviet Union began construction on several RBMK-1000 reactors across their territory: Leningrad in 1967, Chornobyl, Ukraine in 1970, Kursk in 1971, Ignalina, Lithuania in 1975, and Smolensk in 1976. 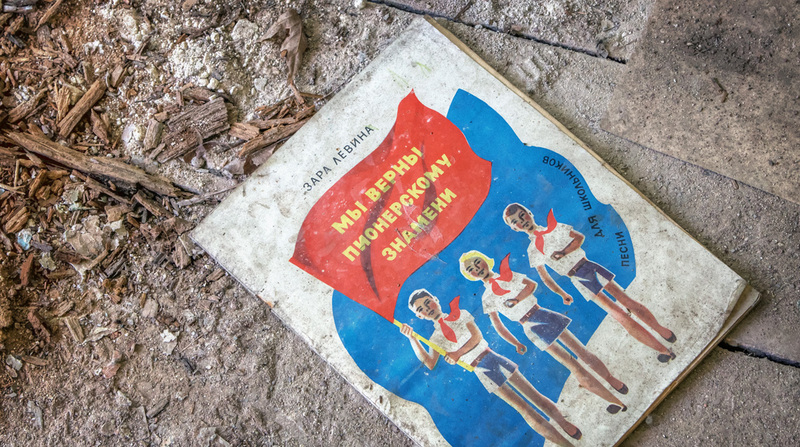 Chornobyl, however, was truly their pride and joy. By 1984, four reactors were in operation at Chornobyl, and the plant produced one-seventh of the USSR's total nuclear generating capability. The goal by 1990 was to have doubled the Soviet Union's nuclear generating capacity, and to increase exports of energy to the west. 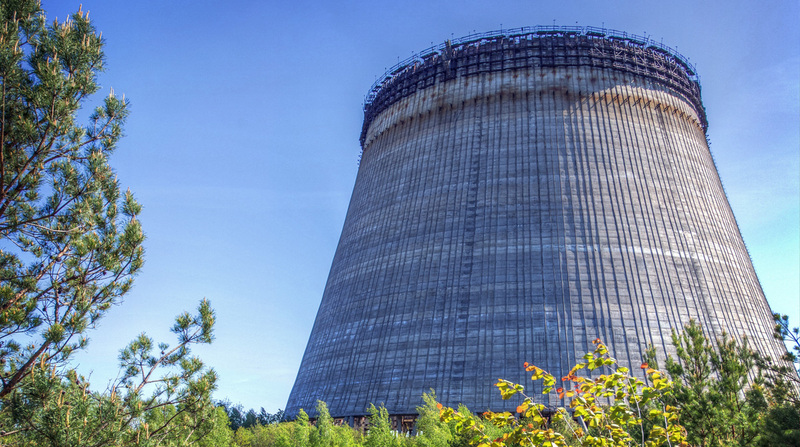 Two additional reactors were under construction at Chornobyl in order to help reach this goal. 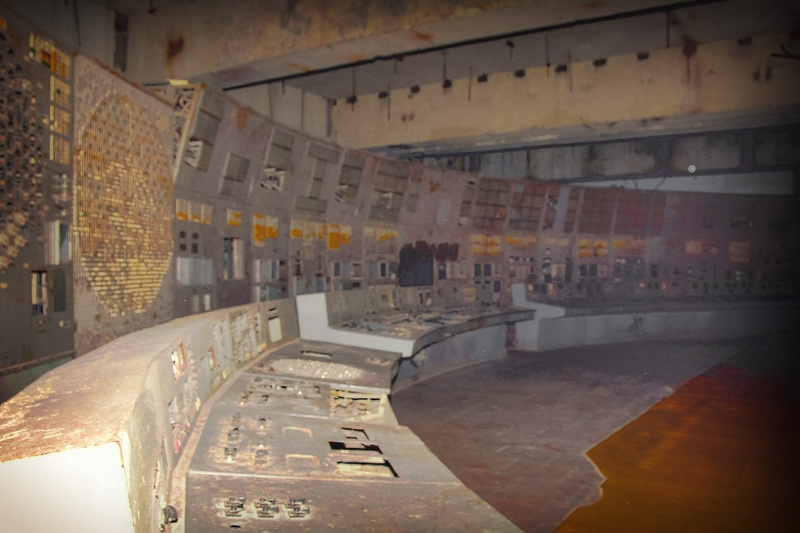 Unfortunately, the fifth and sixth reactors were never completed, and after the Chornobyl disaster no further RBMK reactors were ever constructed. If electricity could bring socialism and modernity to the vast territory of the Soviet Union, so too could the technology of railroads. Not only could the railroads help to "achieve equality between the ruling and working classes" they were deemed the cheapest way to transport soldiers, machinery and other equipment for the military. The concept of railroads for military use was really hammered home during the Crimean War in 1853. Generally regarded as the first "modern" war, combatants in the Crimean War employed the newest technologies in firearms, steamships, medicine, communications via telegraph, and even railroads. The war pitted the Russian Empire with the floundering Ottoman Empire and its western European allies, a war which the Russians ultimately lost. Built by the British, the Grand Crimean Central Railway carried supplies during the siege of Sevastopol, and was a significant factor in the Allies' victory - a lesson the Russians would not soon forget. Shortly afterward Imperial Russia hastily began constructing a railroad network throughout its immense territory. After 1886 many of these lines were constructed by soldiers of railway divisions in the military. After the Russian Revolution, and the transition from the Russian Empire to the Soviet Union, construction of military railroads continued, as it allowed the Bolsheviks to strengthen their authority across the USSR's vast territory.